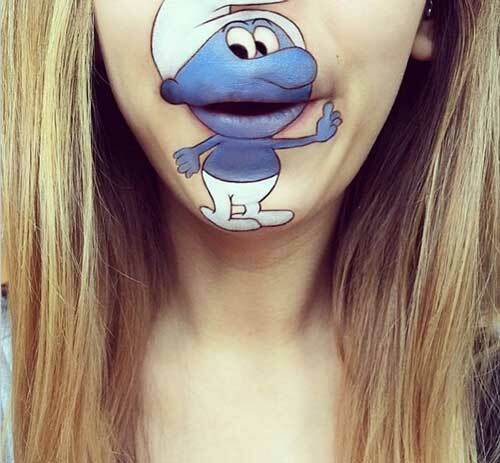 Have you heard of lip art? 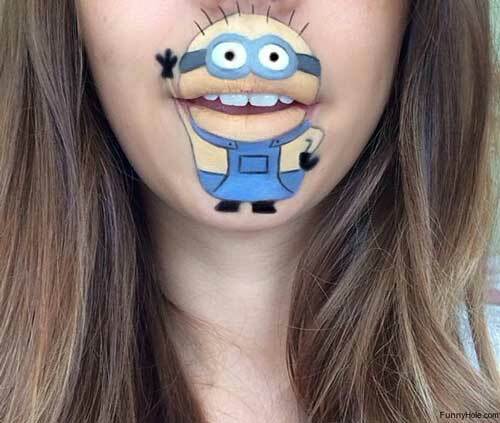 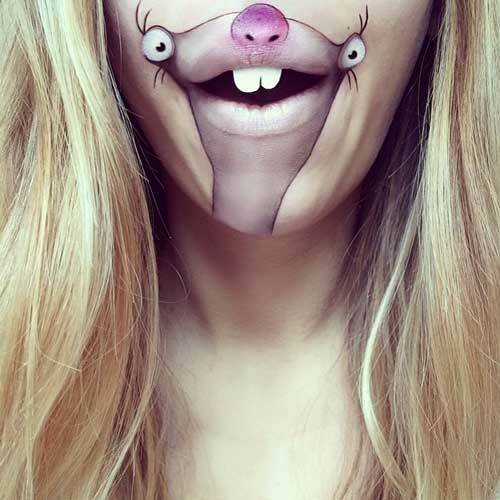 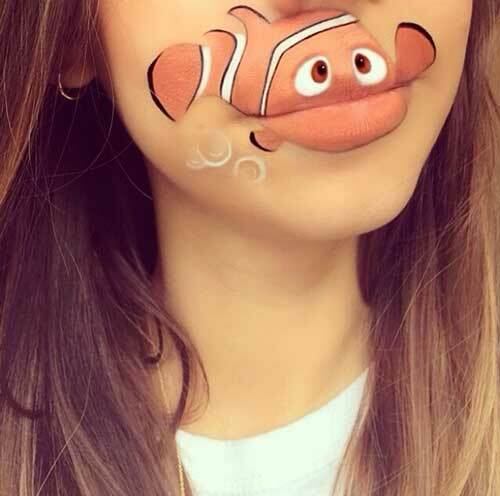 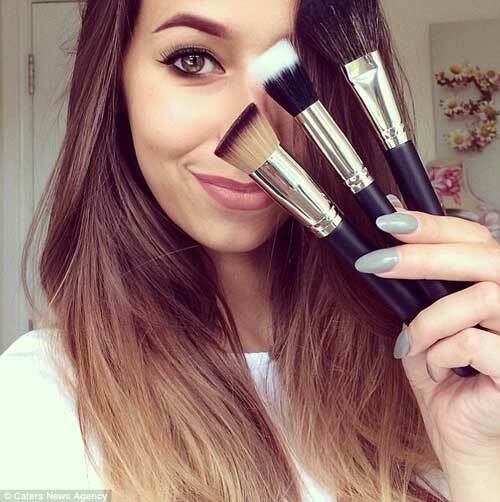 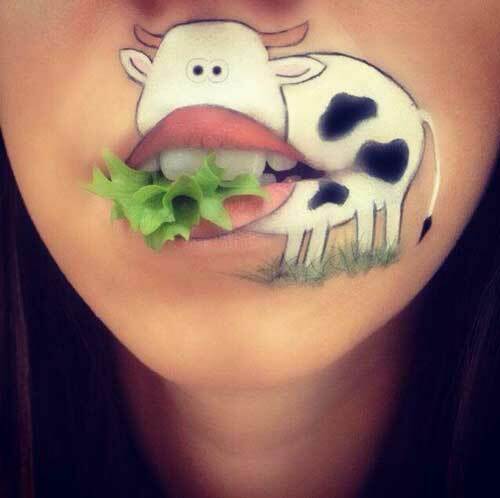 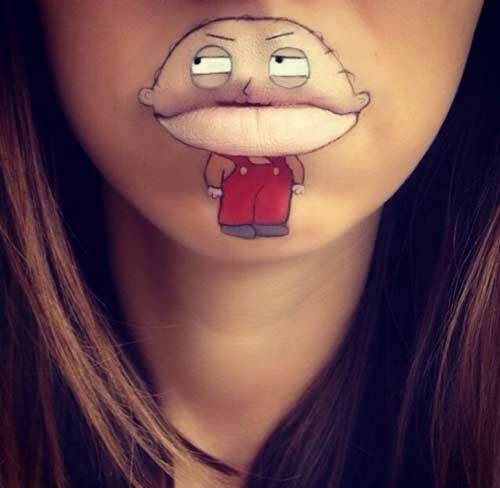 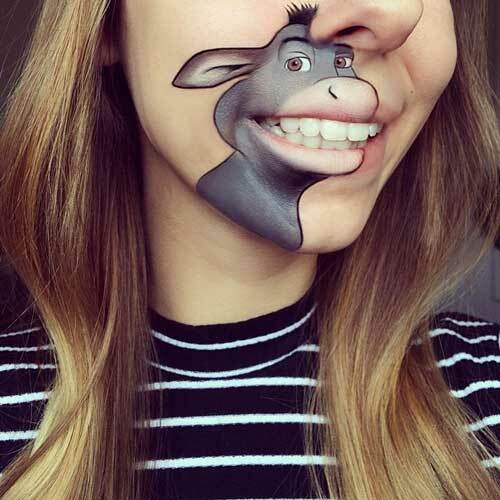 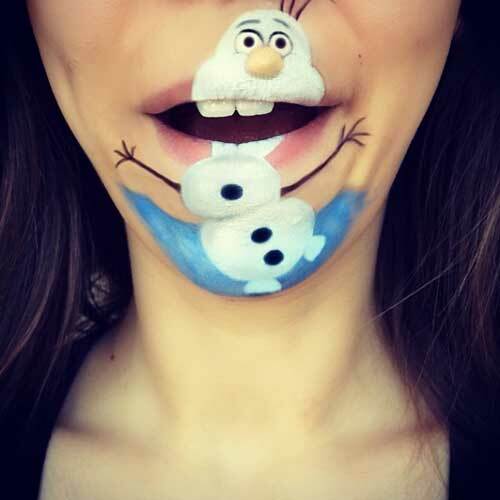 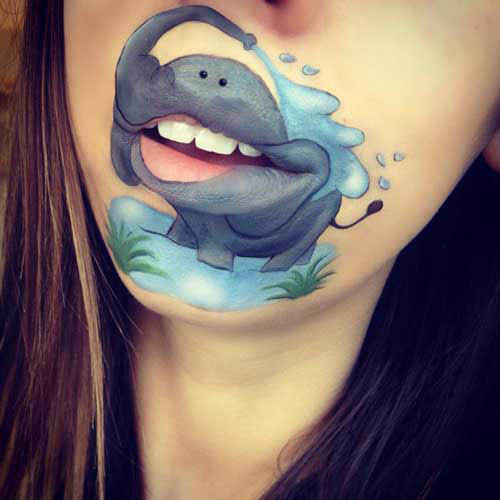 Cartoon lip art has won London makeup artist Laura Jenkinson a large internet following. 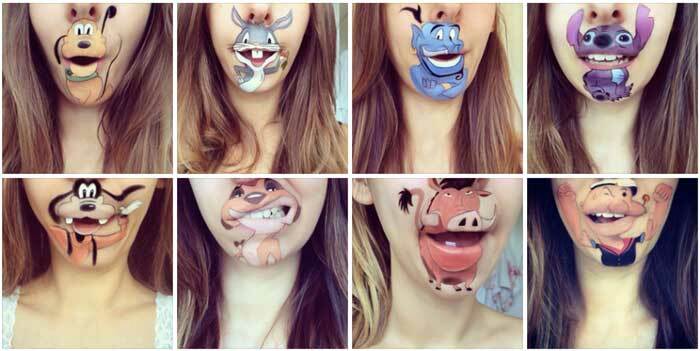 She uses theatrical makeup and occasionally lipstick to create her portraits, which have included the Roger Rabbit and the Lion King. 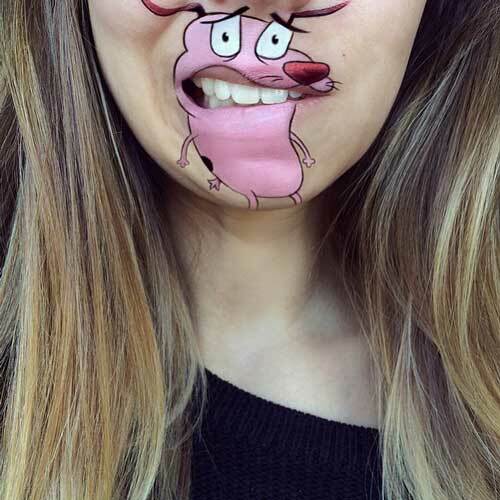 The cartoonist blends her mouth, chin and teeth into each character to seem as if her features belong to the cartoon. 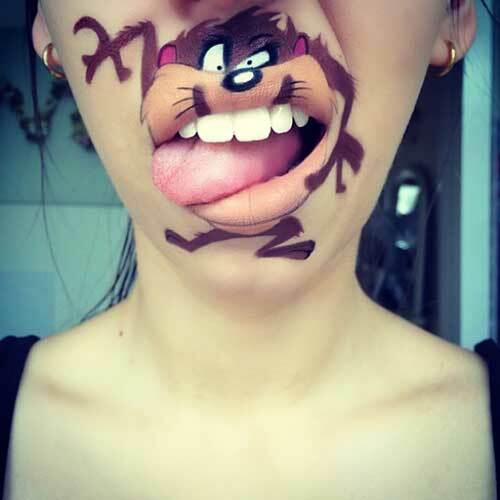 She uses a mirror and a picture of her subject to create the exact look and has painted everyone from Fred Flintstone and Homer Simpson to Grumpy Cat.